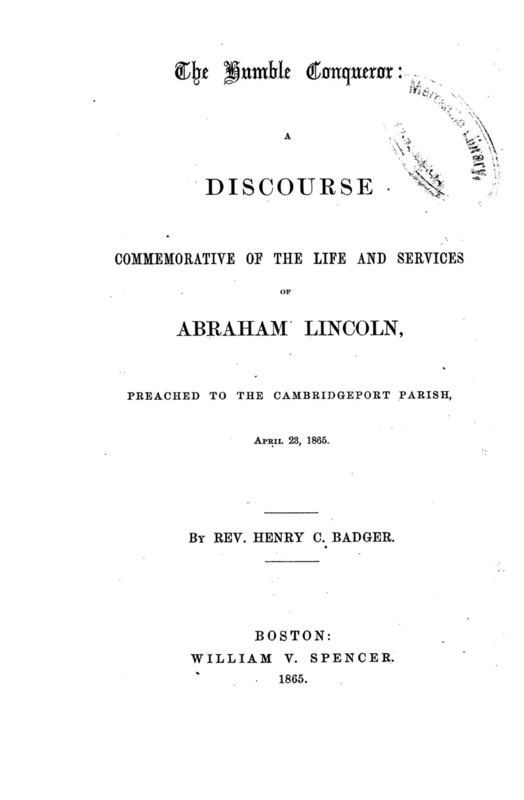 The Humble Conqueror: A Discourse Commemorative of the Life and Services of Abraham Lincoln. Sermon delivered by Rev. Henry C. Badger to the Cambridgeport Parish, Boston, Massachusetts.